On 1 April, the Australian Labor Party released its climate policy for the transport sector. The AADA was concerned that part of policy mentioned that a CO2 standard for new vehicles would be applied to “car retailers”. 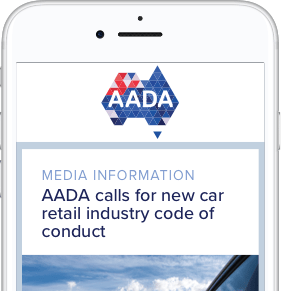 The AADA sought urgent clarification from the ALP and issued a media release which made the point that Manufacturers should be responsible for adhering to standards as Dealers have limited influence over the product mix and the decision as to what cars are imported into Australia. The AADA can report to members that after discussions with the ALP, they have amended their policy statement and have assured us that Dealers will not be the entity that is regulated. Adherence to any future emissions standard will operate on the same basis as the systems in the US and the EU and will target Manufacturers not Dealers. The ALP revised extract is detailed below and the full policy can be accessed here. Labor will introduce vehicle emissions standards to reduce pollution and make the cost of driving a car cheaper for consumers. Labor will aim to deliver standards in line with 105g CO2/km for light vehicles, consistent with the US standards and Climate Change Authority advice but will consult on the phase-in timeline and coverage to maximise savings for motorists. Standards will be applied on an average emission basis and be subject to real world testing, rather than imposing blanket mandatory standards on manufacturers or specific car models. Labor will consult with industry, including retailers, on implementation details, industry will be able to meet the standards by offsetting high emissions car sales with low or zero emissions car sales.